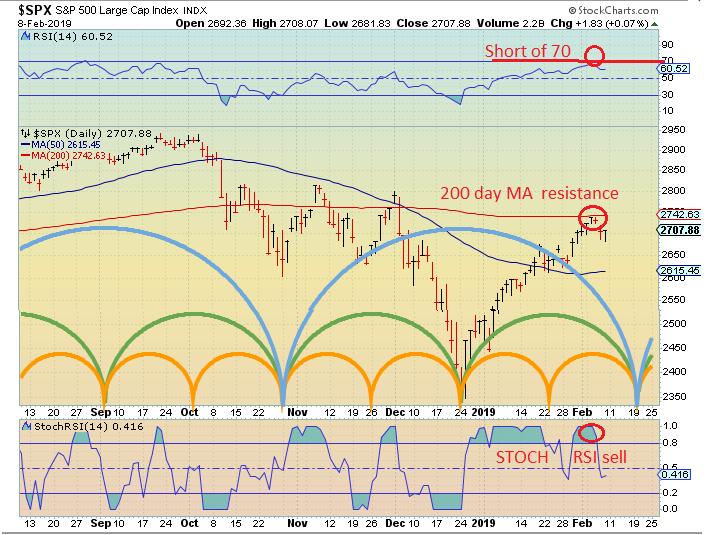 As I suggested mid week last week may offer a buying opportunity. Mid to late week sold off and depending on what stocks you were watching provided an opening to make a buy. I had bought 4 stocks on Thursday and put in "sell gtc orders before market open." Now need to find something to buy (only 1 position left). Like I have stated in the past shorter cycles can provide larger per cent movement in a shorter period. For example a 50 point movement of the SP500 in 5 days is an average of 10 points a day, whereas over 10 days that 50 point movement is 5 points a day. 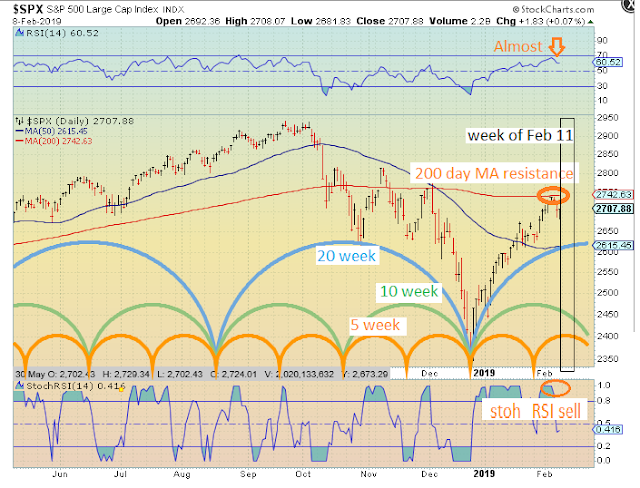 This is why shorter cycles (like the 10 week cycle) can have an over size short term impact down /up even when multiple longer cycles are moving the opposite direction (as we saw the latter part of the last week). Hello! I see you changed when the multiple cycle convergence... what tells you/how do you know to adjust these? Welcome comments, took a second look and decided to redraw cycles based on your observations(20 weeks is 4 1/2 months or half the 9 month cycle). I examine the data looking for conformity with prior patterns. It appeared that the 5 week cycle contracted to 4 weeks. This gave us longer 8 week cycle. BTW that is 1 month and 2 months and 4 months. Should know within a month or so if my change is right...… The RSI and StochRSI seem to support the change. 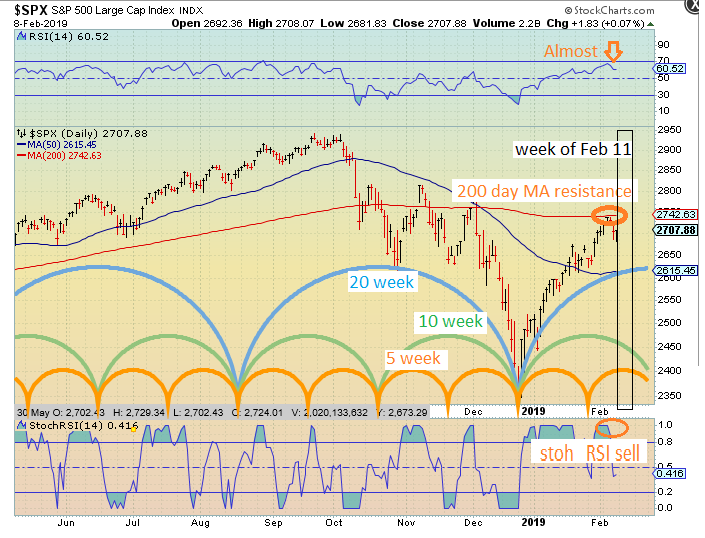 Then the 9 month cycle finish at the end of February 2019? Thank you! That helps! I will now look at cycles as "living" and be open to adjustment.